For your qualifying purchase, please accept this gift: the green Cyclone fidget spinner! 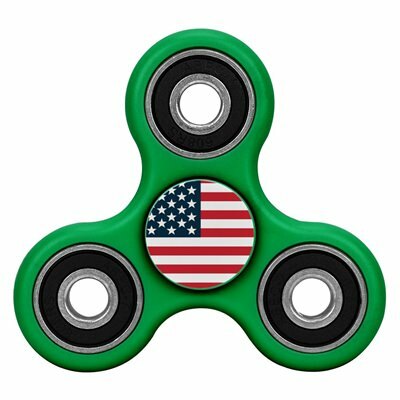 Fun and patriotic, this fidget spinner is a great gift for around the office, the waiting room, or at home. Its hardy green plastic body finished with metal balance weights makes this an ideal fidget toy. The American flag is proudly printed on the large imprint space, making it rightfully difficult to notice. Go ahead, give it a spin!